Preheat oven to 350 degrees. Steam cauliflower florets in a steam basket for 10 minutes. Whisk egg, milk and olive oil together. Add in flour and spices, whisk until smooth. Fold in 1 cup colby-jack cheese. Add steamed cauliflower and coat well with sauce. Transfer mixture to a 2 quart casserole dish and bake for 35 minutes. 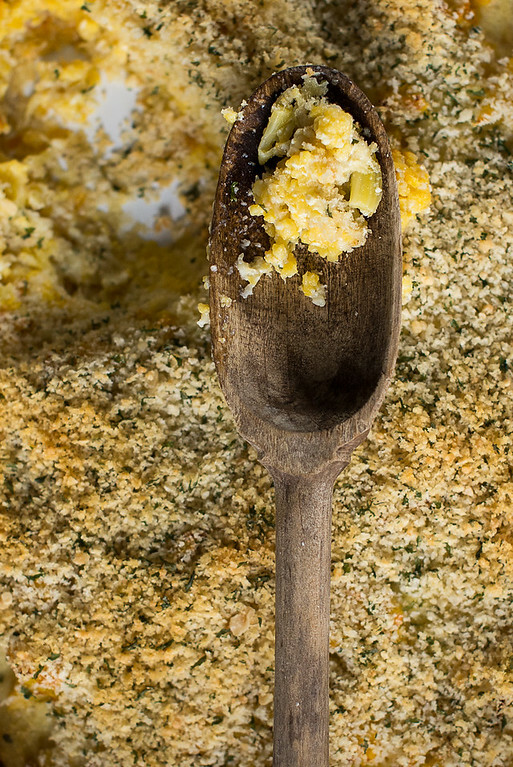 While baking, mix ¼ c Parmesan cheese and parsley with breadcrumbs and a drizzle of olive oil. Remove casserole from oven, top with breadcrumb mixture and bake for an additional 10-15 minutes until golden brown.